Note: Creation Moments exists to provide Biblically sound materials to the Church in the area of Bible and science relationships. This Bible study may be reproduced for group use. There is an old joke about a novice archaeologist who was terribly disappointed when professional archaeologists refused to accept the authenticity of a coin he had found. He could not understand why the coin, bearing the date of “125 B.C.,” was considered a hoax. Of course, until the New Testament era there was no universal standard for determining years. In Old Testament times they did not count their years as B.C., the way we do today. But they certainly did have a method for naming each year. Read Genesis 7:11. What historical event is being described here? Look carefully at the detail provided in this text. Is this an attempt to provide a date for the beginning of the Flood? At the time that the Flood destroyed the Earth, and for many generations after the Flood, who was the most notable person alive? Lacking any other fixed point with which to date the Flood, isn’t it most natural to fix dates based on the life of Noah? Aren’t we doing the same thing today when we fix our dates based on Christ’s life? Take a look at Daniel 7:1. How is the date for the events that follow fixed? Would the King of Babylon be a major person in history at this time? Read Ezra 5:13. Again we find the same thing, don’t we? Note that each of these people who provide a reference point for dating events were well-known people who provide a reference point which was easily recognized by many people. This phrase, “In the X year of so-and-so” is found many times throughout the Bible. At this point it should be clear to us that people, even from the most ancient of times, have been concerned about accurately dating historical events. This fact is borne out by archaeology. Some of the oldest examples of human writing, it turns out, are calendars! So is it surprising that this concern for accurately dating history is also found in Scripture? Read Genesis 5:3-32. How many of the people listed in this section are mentioned elsewhere in Scripture? Are these then, for the most part, important historical figures? Note how important the question of time and the age of these men are. Is it likely that important events in and after their lifetimes were dated by their lives? What this means is that we have, imbedded in the genealogies, the very chronology used since the beginning of time. The genealogies themselves may skip a generation or two now and again, but the dates (“in the 90th year of so-and-so”) are reported. By comparing the various dates which are given in the different genealogies, we can set up cross-references and determine when a generation or two has been skipped in a particular genealogy. Any given genealogy, unchecked by the others, may not be a chronology. But it is clear that when taken together and crosschecked with each other, we end up with a reproduction of the very calendars used by these people! 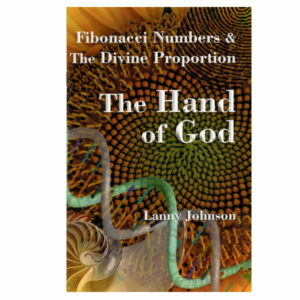 It is not that difficult to add up the numbers, and believers have done it for thousands of years. Many scholars have built remarkably similar chronologies by comparing the ancient genealogies. It certainly says something that, working independently, various scholars have often arrived at identical dates for various events like the creation or the birth of Abraham. And when they haven’t arrived at identical dates, they have usually varied by only a few years—and they have always arrived at the same pattern for events. James Ussher found Shem and Abraham to be contemporaries. Martin Luther found that Shem outlived Abraham by 35 years! In fact, Luther, and others, have offered some very compelling arguments that Shem was Melchizedek (which simply means “righteous king”), mentioned in Genesis 14:18. Ozane confirms that Adam (died 930 after creation) did live at the same time as Enoch (born 622 after creation) and Methuselah (born 687 after creation). Frank Klassen, who is responsible for the dating in the Chronological Bible, also finds Shem and Abraham to have been contemporaries. In fact, he finds, with Luther and my own chronological studies, that Shem and Jacob shared a period of history as well. He also finds Noah and Abraham to have been contemporaries, as well as Adam, Enoch and Methuselah. Some Bible scholars have believed for centuries that Adam wrote the early chapters of Genesis, Seth wrote some materials, and Noah others. All of these records were carefully handed down to Moses, who put the whole works together, also under inspiration, into the first five books. Chronologies have repeatedly supported this theory. Adam and Seth, of course, were contemporaries. And since Seth is featured prominently in the early history, Noah being his most illustrious descendent, and a contemporary as well, he could easily have passed the early records on to Noah. Shem’s line led to Abraham, and again, both were contemporaries, providing another link in the chain. By the time of Abraham, a strong family tradition was beginning in which passing on such important records was easily possible. The very fact that Jacob’s bones were protected and carried by the elders from Egypt to the Promised Land, despite the hundreds of years since his death, demonstrates this. At this point, the books of Adam, Seth, Noah and the others could have been passed to Moses. P.J. Wiseman demonstrates, quite convincingly, that the artifacts of the original ownership and authorship of each section of the original text are present in the text itself. The book of Genesis itself may be the best argument that this kind of contact between contemporaries actually took place! Close this Bible study with a prayerful reading of Psalm 119:89-96.